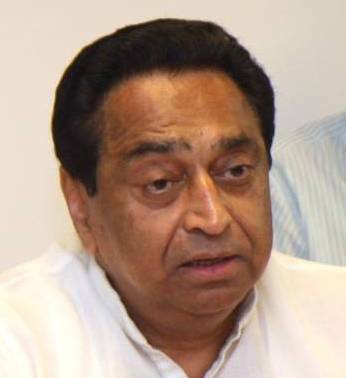 Urban Development Minister Kamal Nath on Wednesday took a veiled dig at the Comptroller & Auditor General (CAG) by hinting that the national auditor doesn’t consider ground realities while preparing audits. Speaking at a seminar on Performance Reporting for Urban Local Bodies at the CAG headquarters, Nath said that the government’s recent decision to legalize unauthorized colonies in the capital was based on ground realities, but someone could allege that the decision cost the exchequer crores of rupees. The National Buildings Construction Corporation (NBCC) has announced the price band of Rs. 90 to Rs. 106 for its upcoming Initial Public Offering (IPO). The state-run company announced the price band in a newspaper advertisement on Tuesday. The government is aiming to raise up to 1.27 billion rupees from the offering of 1.2 crore equity shares. The Indian government is planning to sell 10 per cent stake in NBCC. The union urban development ministry has given its in-principle approval to three regional rapid transit system (RRTS) corridors connecting the national capital Delhi with neighboring cities. Urban development minister Kamal Nath approved the concept proposal of implementing the RRTS in the three corridors connecting Meerut, Panipat and Alwar. The corridors will be built on the routes including Delhi-Gurgaon- Alwar, Delhi-Sonepat-Panipat and Delhi-Ghaziabad-Meerut. Union minister for Road Transport and Highways Kamal Nath has said that the government may consider using cement for construction of expressways. The ministry has laid out plans to construct over 18,000 km greenfield expressways by 2032. Nath said “It would be appropriate to look at building expressways with cement concrete as these will be greenfield projects.” The minister was speaking at a seminar organized by CII titled ‘Concrete Highway Projects’. The minister outlined a possible use of concrete on roads stretches which are used heavily and further said that the roads which are already build with bitumen will not be turned into cement roads. New Delhi, Jan 8 - Stating that wealth does not create roads but roads create wealth, Minister for Road Transport and Highways Kamal Nath Friday urged overseas Indians to invest in the country's infrastructure sector. "India has the second largest network of roads in the world. We have 3.4 million km of roads, next only to the US and bigger than China," Kamal Nath said at the Pravasi Bharatiya Divas (PBD) 2010, the annual conclave of the Indian diaspora. New Delhi, Jan 6 : Road Transport and Highways Minister Kamal Nath Wednesday said the government has constituted a committee to decide how cars would be rated on the basis of fuel-efficiency. "We have formed a four-member committee to prepare the norms for rating fuel efficiency of cars," Kamal Nath said after formally inaugurating the 10th Auto Export here. The minister's statement comes two days after auto makers said they were not comfortable with the government's move. New Delhi, Jan 6 : Road Transport and Highways Minister Kamal Nath Wednesday said development of better roads and road network was the key to inclusive growth and safe travel. "We have one accident every minute and one accidental death every four-and-a-half minutes on roads. This is not acceptable," Kamal Nath said at the formal inauguration of the 10th Auto Expo here. "We need to strengthen our road network for seamless travel and all-round inclusive growth," he added. Mumbai, Oct 29 : The government plans to execute mega road projects worth Rs. 5,000 crore with new guidelines, Road Transport Minister Kamal Nath said here Thursday. Addressing a seminar here on India-United Arab Emirates (UAE) trade and investments, Kamal Nath said his ministry would issue the new specifications for road projects in 10 days. New Delhi, Oct 22 : Union Minister for Road Transport and Highways Kamal Nath on Thursday constituted a committee headed by Secretary (Road Transport and Highways) to look into Road Safety and Traffic Management issues in the country. According to a press release of the Ministry the committee is a stopgap arrangement and will cease to exist once the National Road Safety and Traffic Management Board comes into existence. New Delhi, Aug 10 : To attract foreign investment in the road sector in India, Road Transport and Highways Minister Kamal Nath will inaugurate a road show in Zurich on Tuesday. The road show “Building India: Road Infrastructure Summit “ is being jointly organized by Confederation of Indian Industries (CII), ICICI Bank, J M Financial Consultants Ltd.& Swiss-Indian Chamber of Commerce. New Delhi, Aug 7 : Union Minister for Road Transport and Highways Kamal Nath said on Friday that the country has enough foodgrain reserves even in the worst monsoon situation. Nath, however, expressed his concern over the adverse impact of poor monsoon on agricultural activity. He said an actual assessment of the impact would take almost two weeks.. He expressed confidence that whatever the outcome, the poor monsoon would not affect food supply. New Delhi, July 29 : Union Road Transport Minister Kamal Nath on Wednesday said that the Government has geared up to launch one of the biggest highways development programme in the country. Replying to the discussions on the working of the Road Transport and Highways Ministry in the Rajya Sabha, Nath said that the National Highways Development Programme would be stepped up so as to achieve the target of 7000 km per year. "We will build this year more roads than the total length completed by NDA in its five years term," he said. 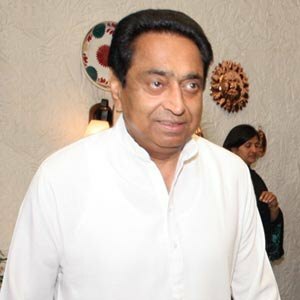 New Delhi, July 14 : Union Road Transport Minister Kamal Nath on Tuesday said that the Cente has plans to set up an organization to develop and manage expressways in the country. Union minister of road transport and highways Kamal Nath seems to all geared up to step up activity in the highway sector. Mr. Nath said that the government has planned to invest Rs 1,00,000 crore to build 12,000 km of roads during the current financial year. Funds for the road building project would be raised via equity as well as debt, he said. New Delhi, Apr 6 : Trade Minister Kamal Nath will represent Prime Minister Dr. Manmohan Singh at the Seventh ASEAN-India Summit and the Fourth East Asia Summit scheduled to be held on April 11-12 in Thailand. These Summits are held annually by the Association of South East Nations (ASEAN) and attended by heads of State/Government of the ten ASEAN member countries and its dialogue partners such as India, China, Japan, Korea, etc. Kamal Nath, union minister of commerce & industry, would be representing the Prime Minister at the 7th Association of South East Nations (ASEAN)-India Summit and the fourth East Asia Summit, which is scheduled to be held during April 11 – 12, 2009 in Thailand. ASEAN held these summits on a yearly basis. Leaders of state/government of the 10 ASEAN member nations in addition to its dialogue associates including India, China, Japan, Korea, etc attended the summits. New Delhi, Mar 20 : N. K. Mathur, Chairman and Managing Director, The State Trading Corporation of India Ltd. (STC) has presented a dividend cheque of Rs. 13.65 crore to Union Commerce and Industry Minister Kamal Nath here today. STC has paid an interim dividend of 25 per cent for 2008-09 on its equity capital to the Government of India. Speaking on the occasion, Mathur informed that payment of interim payment was being made in view of overall good performance by STC during April-December 2008, which was achieved in spite of global meltdown leading to severe liquidity crunch. Union Commerce Minister Kamal Nath on Thursday announced the interim Foreign Trade policy, which offers sops to exports in leather, textile, gems and jewellery and food product sectors. The government has scaled down the export target to 175 billion dollar for this fiscal from the earlier target of 200 billion dollar. New Delhi, Feb 20 : Union Commerce and Industry Minister Kamal Nath, and his New Zealand counterpart Tim Groser today agreed on the need for an early commencement of Free Trade Agreement (FTA) negotiations between both countries. During a bilateral meeting here, both Ministers noted that the Joint Study Group (JSG) Report demonstrates considerable potential to substantially develop bilateral trade and an economic relationship through the FTA. Government has asked Indian outsourcing MNCs, hit by slowdown, to explore domestic market, a potential segment that required being to be contemporary of technology, to overcome low demand situation aroused in the wake of global financial crisis. Commerce Minister, Kamal Nath, while addressing a conference of Software and Services Companies (NASSCOM) in Mumbai, said, "The current global downturn is an opportunity for India's IT industry to look inwards. There is a huge reservoir (of business) to be tapped" across rural India."